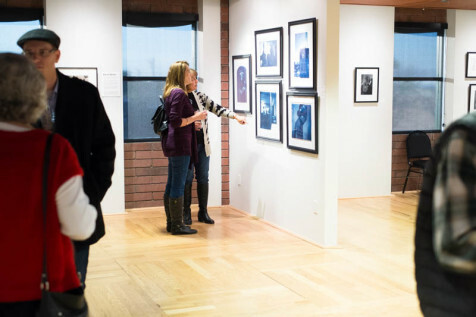 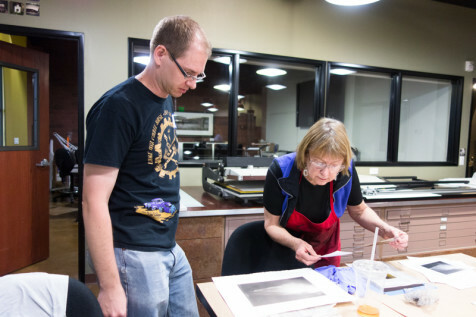 This past Saturday, March 26 we had the pleasure of hosting a Photogravure workshop taught by Tucson artist Karen Hymer! 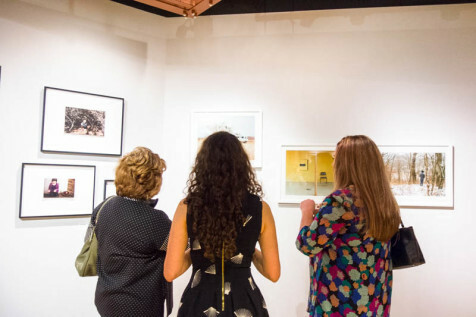 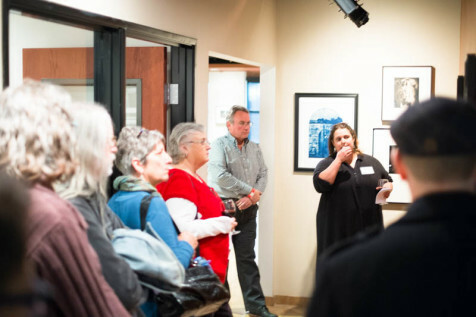 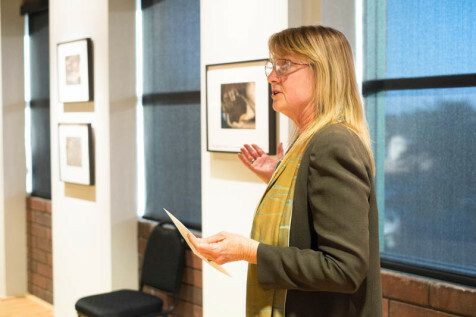 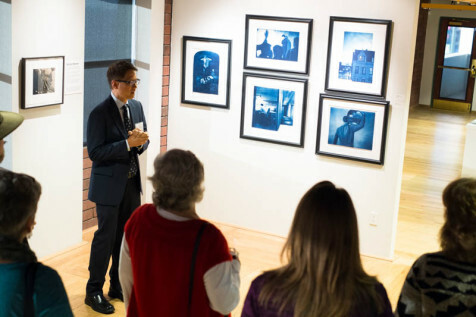 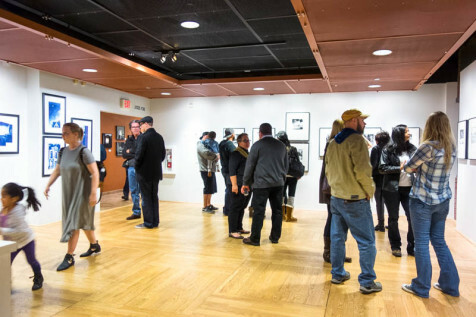 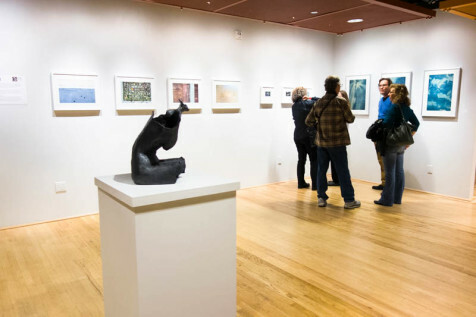 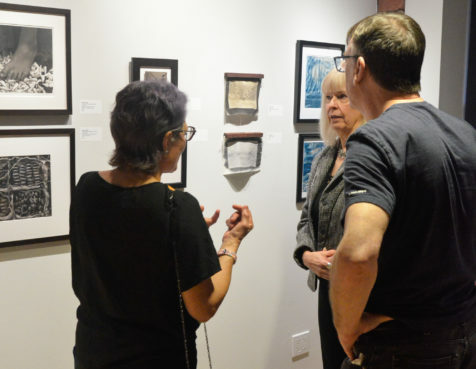 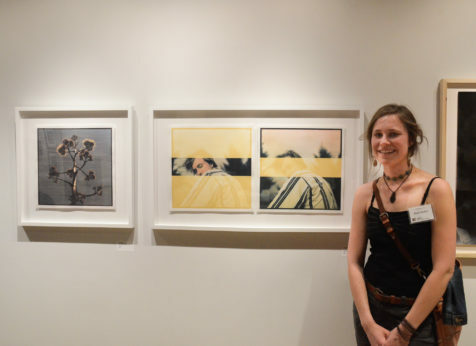 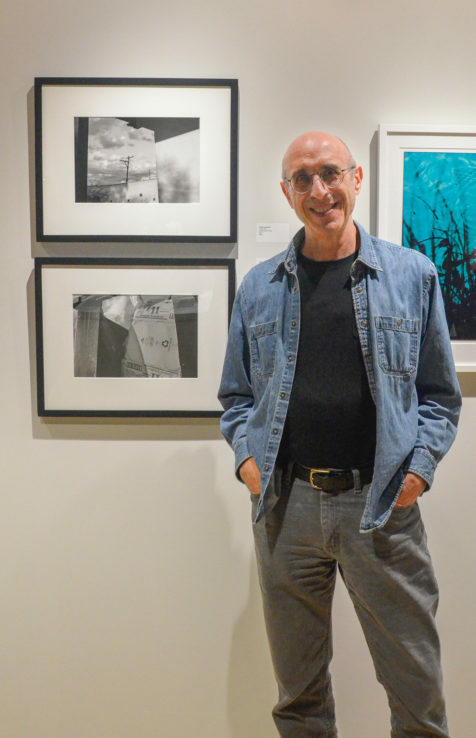 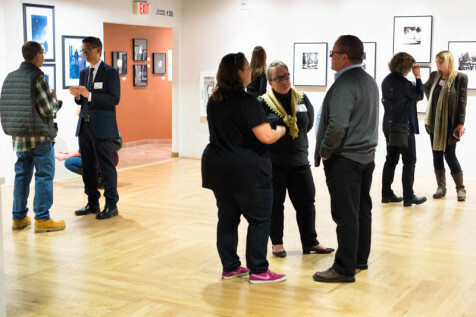 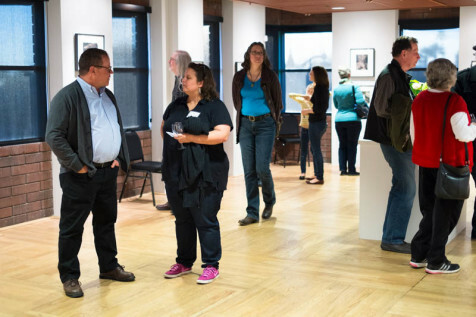 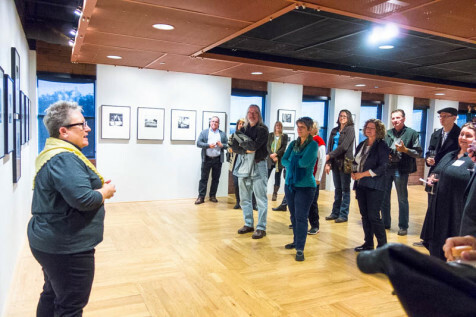 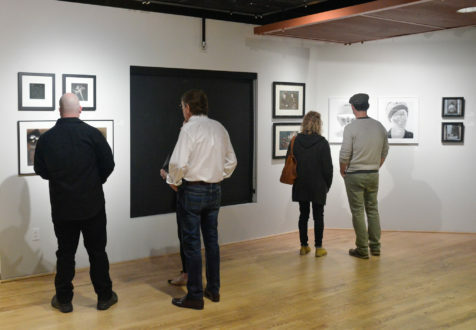 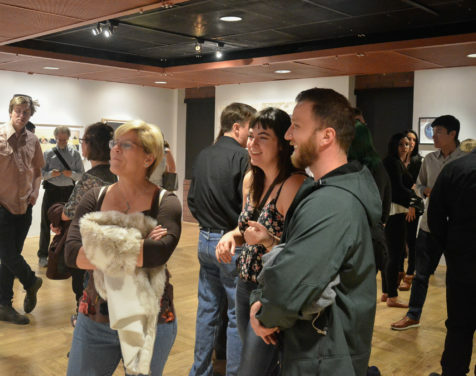 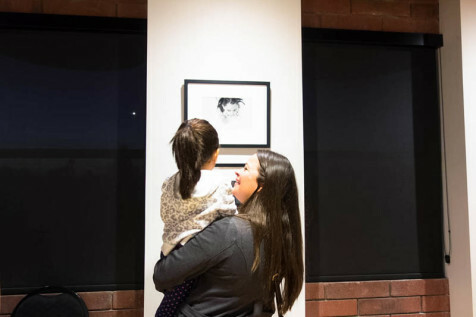 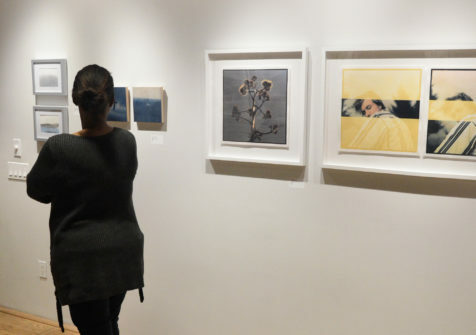 The weekend began with a lecture by Karen on Friday night – she talked about the history of photogravure and the evolution of her artwork as she continues to use the process. 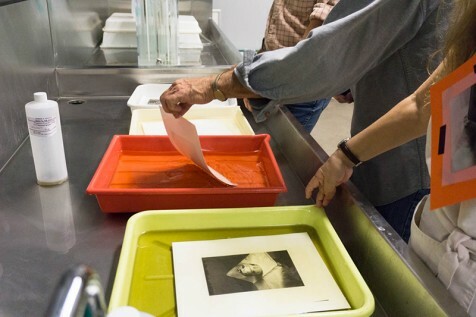 Seven students joined us for the workshop and got hands-on experience making photopolymer plates from their images, then pulling prints from the plates. 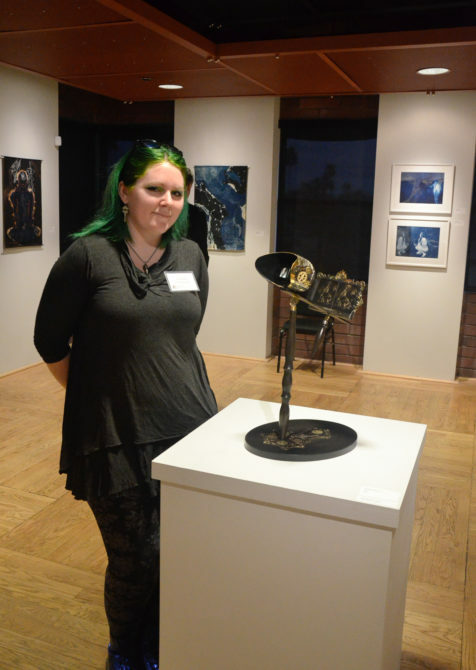 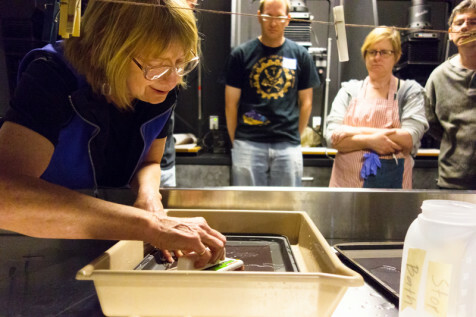 Karen taught the process using Solarplates, which are steel plates coated with a light-sensitive polymer emulsion. 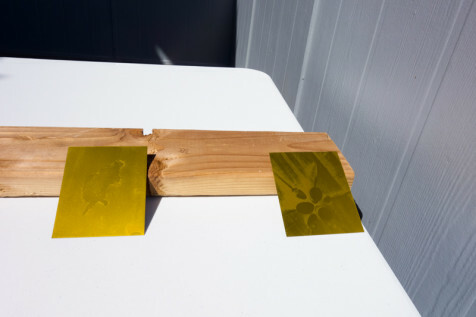 When exposed, the polymer hardens; the unexposed polymer washes away in water, leaving an “etched” plate ready for inking after the plate has dried in the sun. 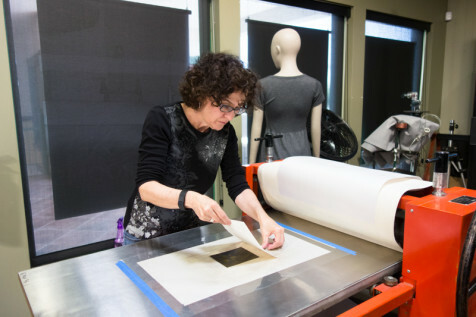 Ink is then applied to the plate and wiped from the highlight areas. 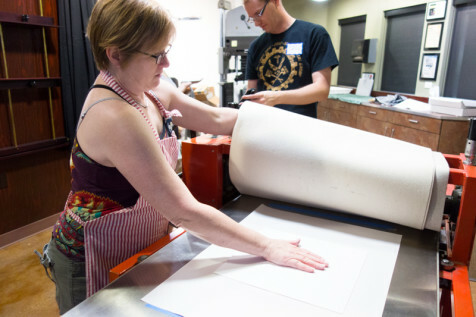 Finally, paper is laid on top of the plate and both are run through an etching press. 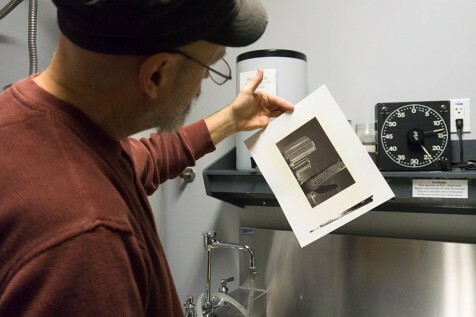 We are forever grateful to our friends at Cattletrack Arts Compound and Santo Press for lending us their etching press – we could not have done this workshop without their help! 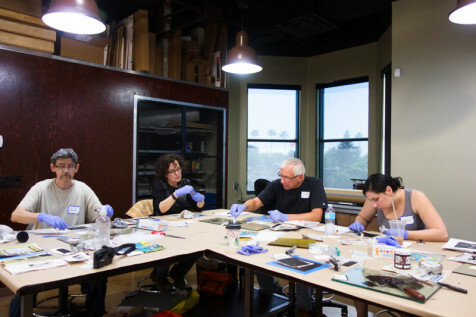 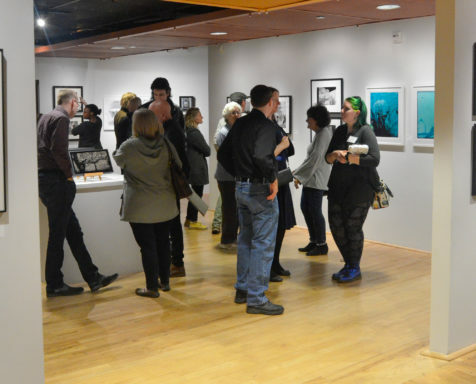 A couple of weeks ago, Art Intersection hosted a Wet Plate Collodion Tintype Workshop and Open Studio! 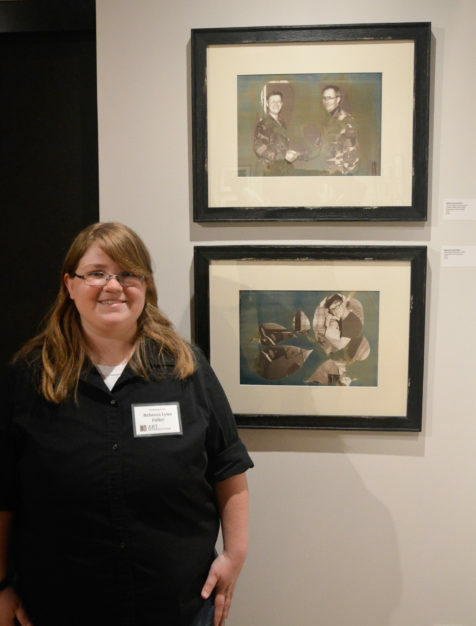 Students were led by David Emitt Adams and assisted by Claire A. 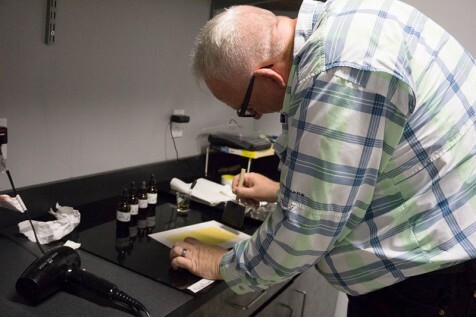 Warden, both experts in this captivating 19th century process. 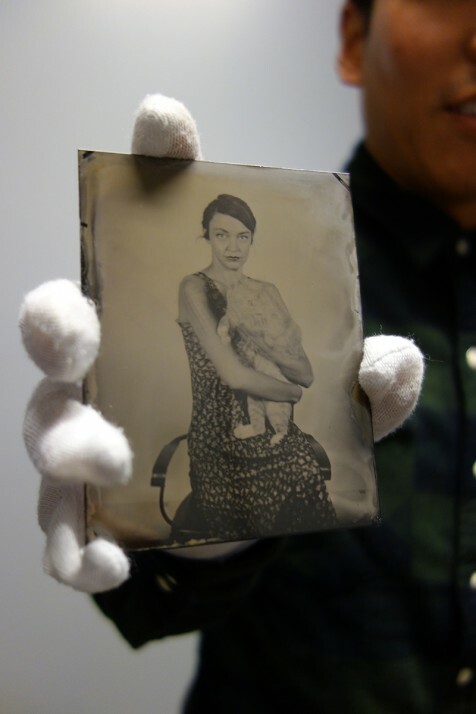 Wet plate collodion was among the first widely-used photographic processes, used predominantly during the Civil War era. 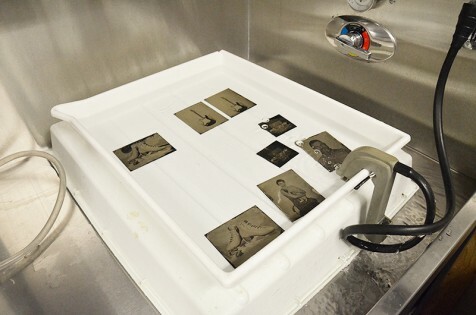 The nature of the process requires that collodion be hand-poured on a blackened metal plate, sensitized with silver nitrate, and exposed, then back into developing and fixing baths before the coating dries – hence the process’s name. 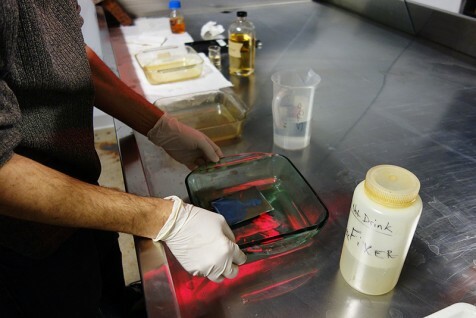 During the workshop, students got individualized help with their coating, exposure, and processing. 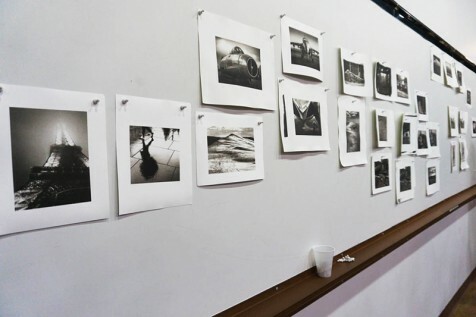 The following day, artists attended the open studio for a chance to try the process on their own; David and Claire were on hand to help as needed. 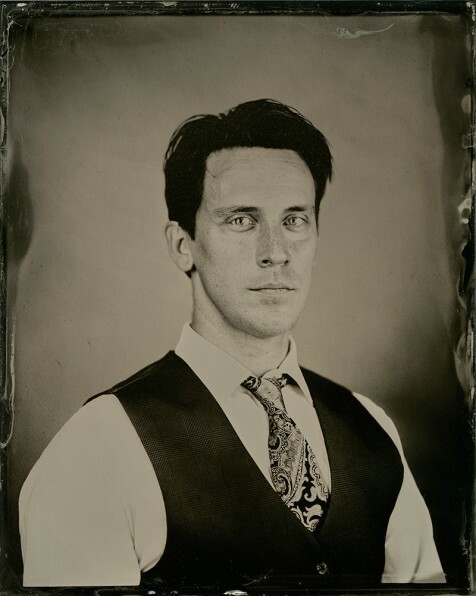 For a proper exposure, wet plate collodion requires either very bright light or a long exposure. 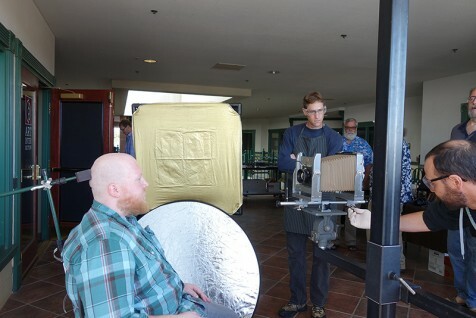 David has rigged a special chair designed to help portrait sitters keep very still during the exposure time of 6-8 seconds, much like the chairs and props 19th century photographers used. 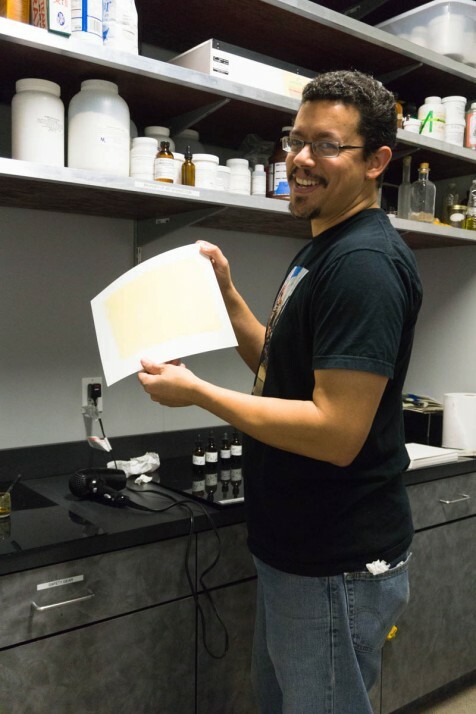 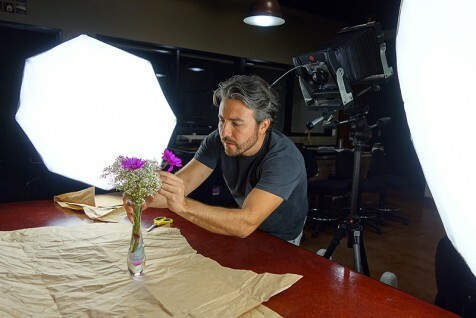 The following weekend, David and Claire returned to take wet plate collodion studio portraits! 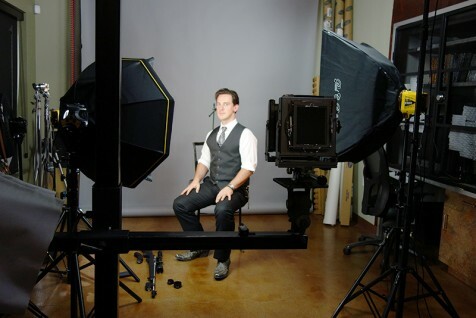 Couples, families, and individuals made appointments to have their picture taken, 19th-century-style. 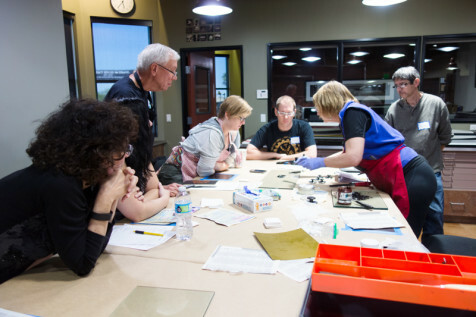 This past Saturday, October 31 we were honored to have California artist Ryuijie teach the art of platinum/palladium printing to 11 members of the Art Intersection community. 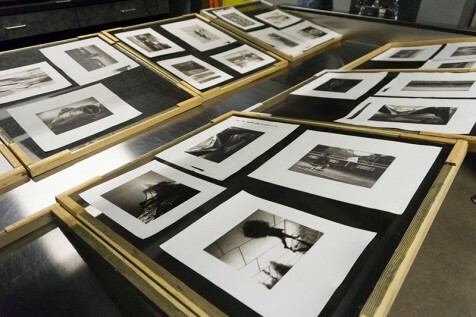 This 19th century process has long been revered for its tonal depth and archival qualities. 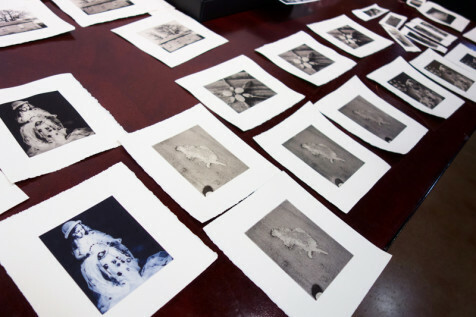 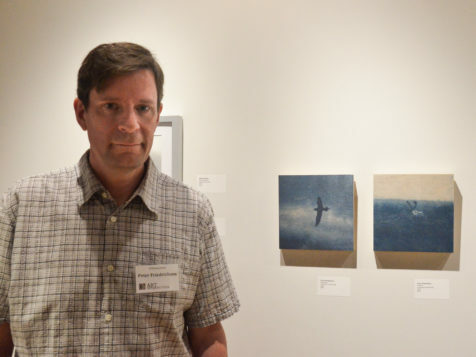 Ryuijie demonstrated two different printing styles – the ABC and Na2 methods, both of which he uses in his artistic practice. 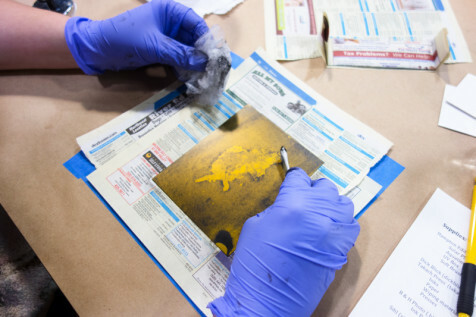 Participants mixed their chemistry, hand-coated fine art paper, let it dry, and exposed their paper using a digital negative and UV light. 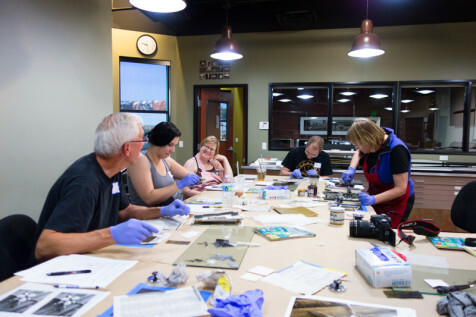 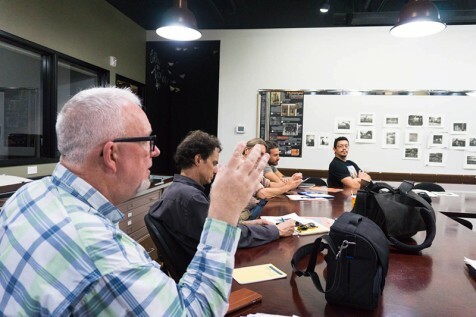 It was inspiring to see the workshop participants quickly pick up a new technique which might have a lasting place in their artistic skill set! 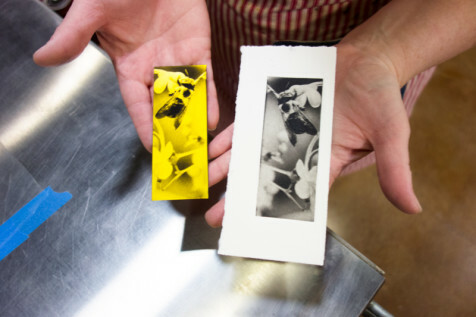 With a little experimenting and practice, the students used this luminous process to make some beautiful work.